As a dietary supplement, take 1 heaping tablespoon daily in juice or water. As a dietary supplement, take 2 capsules 1 to 3 times daily with meals. 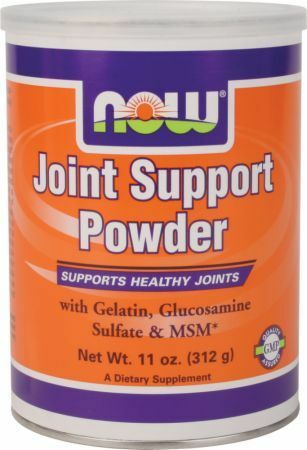 Joint Support Powder is a combination of dietary supplements that have been surmised to nutritionally support healthy joint function. * Hydrolyzed Beef Gelatin is 86% protein, high in collagen and has been enzymatically predigested to enhance absorption. * Glucosamine is an amino sugar derived from the chitin of shellfish. It is utilized by the body to support healthy joint structures. 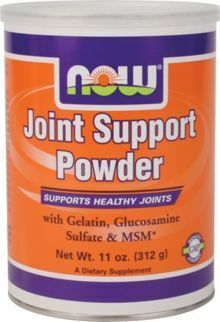 * Sulfate is the preferred form of Glucosamine and is a natural source of potassium and sulfur. MSM (Methylsulphonylmethane) is a biologically active form of organic sulfur found in all living organisms. It is naturally found in varying amounts in raw unprocessed milk, meat, fish, fruits and vegetables.